In this two-part science tutorial, learn how to make a DIY reed instrument! 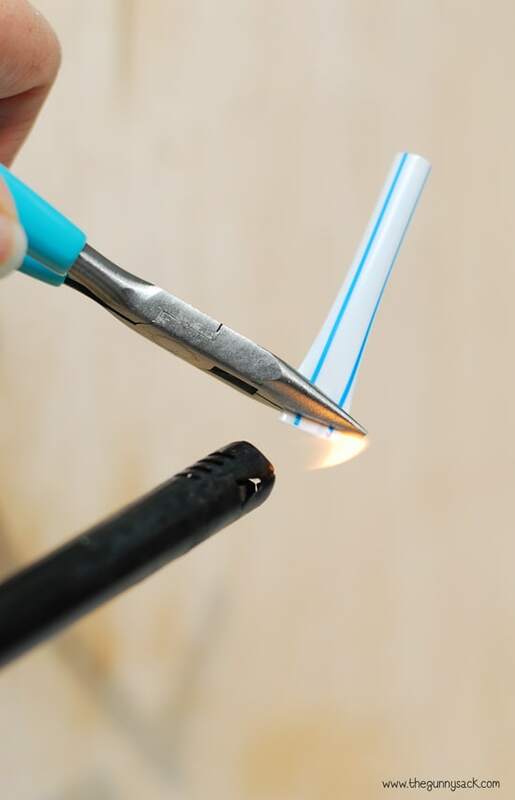 By cutting the end of a drinking straw you can make a musical reed instrument that you can actually play a tune on. Within these videos, you will also gain some insite into the science of sound and music.... Both can make an almighty racket in the right hands (or mouth). The straw's flattened triangular tip acts like an oboe's reed and blowing air across it causes the straw to vibrate. This creates a standing wave in the air along the length of the straw which we hear as sound. Make two cuts in the now flattened end of the straw, to form a triangular tip. Insert the triangular tip of the straw into your mouth and blow hard. You should hear a loud 'buzzing' sound.... VERY CAREFULLY cut the bottom off your plastic container, about level with the bottom of the label. Put the bottle, cut side down, into the bowl of water and put your ear up against the hole at the other end. Now place the cut end of the straw in your mouth. Push down with your lips to help sqeeze the straw and blow hard. Cover and uncover the holes to play different notes. Push down with your lips to help sqeeze the straw and blow hard.... Now that your instrument is complete, simply blow into the straw on the side of the bottle, and your Water-Bottle Membranophone should play! To make different sounds, you can add finger holes. To do this, pinch the paper tube slightly and cut out a diamond shape. Discuss that the squawkers make sound by producing vibrations. Moving air causes the Moving air causes the pointed ends of the straw to move rapidly back and forth � that is, to vibrate. Both can make an almighty racket in the right hands (or mouth). The straw's flattened triangular tip acts like an oboe's reed and blowing air across it causes the straw to vibrate. This creates a standing wave in the air along the length of the straw which we hear as sound. Cut the straws so each one is about half an inch shorter than the next; fold a piece of tape over the bottom of each straw to block the whole. 2. Place a long piece of tape sticky-side up on a table, and line up the straws on it in height order with the open ends aligned. Using your scissors, about 1 / 3 of the way down the straw, partially cut through the straw. The cut should be ALMOST all the way through the straw but leave a small piece uncut to keep the two straw sections attached.